We are pleased to release our 2019 winter catalogue, offering several hundred fresh Canadian and World items from our ever-changing inventory. Please do note that this price-list will remain valid until Sunday, March 24th 2019 (ending with our Toronto show), so please pick up the phone or email on any items of interest to you. I am pleased to report that we are making excellent progress in refreshing our online inventory database at alliancecoin.com. Please browse through our current offering of more than 300 newly-posted Canadian and World items, all specially-priced for our internet audience. Many will sell at our upcoming show in Hamilton, so visit today for the best selection! It is somewhat a “catch 22”, in that our inventory experiences heavy adjustments through attendance at our numerous trade-shows, and the key to keeping our listings “fresh” is to take advantage of those pockets of time between shows to post new material. We shall do our very best and invite you to visit often. The Return of the “Weird & Wonderful”! For all fans of our highly-eclectic online sales, we are pleased to announce the impending launch of our latest Ebay sale of tokens, medals and related collectibles. Launching at midnight next Monday January 28, 2019, this offering will feature more than one hundred neat items from our deep inventory. Look us up under our eBay user name “Alliancecoin” or jump right in on our eBay auction page Alliance Coin. 2018 Boxing Week Blowout at Alliance! Our final event of the year will be our near-legendary Boxing Week Sale, which we firmly believe to be the biggest boxing week sale in the Coin Business. In addition to huge discounts on virtually our entire stock, we always pride ourselves on including fresh new inventory. No items held back or hidden away for the sale. In fact, by the time we open our doors to our loyal customers, we will have added at least 1,000 new coins and notes to stock over the past week or two. Mark your calendars for Thursday, 27th and Friday, 28th (9am – 7pm) and Saturday, 29th (10am – 6pm) December 2019 at Alliance Coin & Banknote, 88 Mill Street, Almonte. 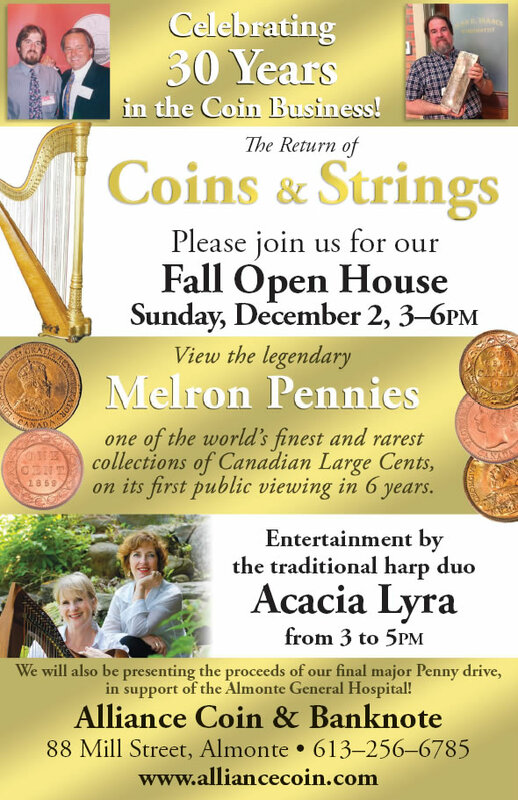 Most recently, we were humbled by our December 2nd “Coins & Strings” Open House, which – in spite of threatening winter weather on a Sunday – saw the largest turn-out we’ve had in 15 years of hosting our popular annual event. Upwards of 100 customers, friends and colleagues joined us for some great traditional harp music (by Acacia Lyra), and took in our special displays of world-class Large Cents and a selection of Silver cigarette cases from my own personal collection. Thanks to the support of many, we were also delighted to present the proceeds of our final “Penny Round-Up” in support of the Almonte General Hospital’s MRI equipment fund, with a total of $1,250 raised (or 125,000 Pennies!). 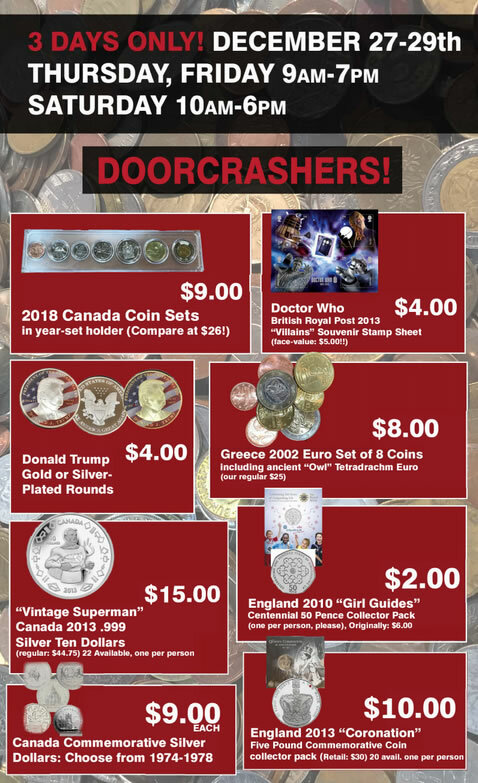 We are pleased to be putting the final details in place for our December 2nd Open House, which will coincide with my 30th anniversary of first entering the coin business as a keen-and-green collector, barely out of my teens. We look forward to welcoming our local friends and customers to our gallery, where we will once again be hosting the traditional harp duo Acacia Lyra. We are very fortunate to be entrusted with an encore viewing of the “Melron Pennies”, one of the finest and rarest collections of Canadian Large Cents. Since the sets last public viewing six years ago, it has been upgraded with an exceptionally rare 1859 Brass striking, currently among the two most valuable Large Cents in existence. Do not miss the opportunity to see this remarkable display of Canadian copper numismatic heritage. Our Open House will also see the culmination of our current “Final Round-up” Penny Drive, in support of the Almonte General Hospital’s campaign to bring a new CT Scanner to town. Many friends and local customers have been generous in their donations of pennies to the cause over these past few weeks, for which we extend our sincere thanks. 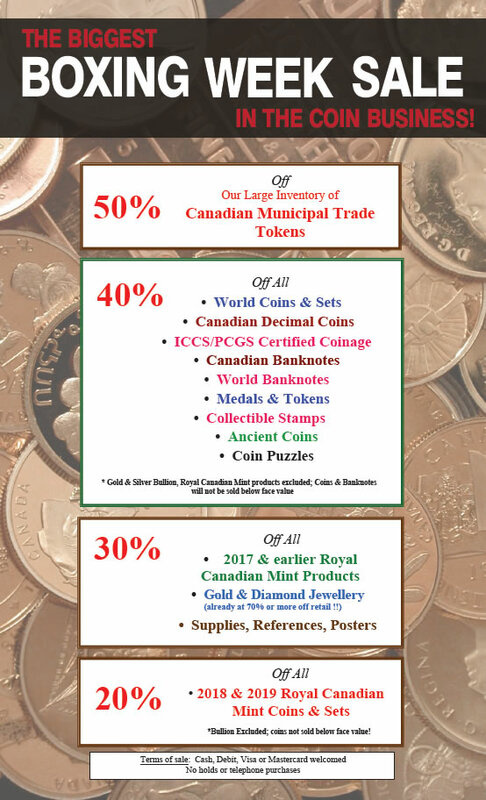 Lastly – to further thank our local collecting community for their support over these past 15 years in Almonte, we will be holding a Flash Sale during our three-hour Open House, and offering a 30% discount on virtually the entire store, with the sole exceptions of Silver/Gold bullion and 2018/19 dated Royal Canadian Mint products. We look forward to welcoming you in out of the cold for some warm cheer, tasty refreshments, and great deals! In my “Isaacs Cabinet” writings, I traditionally highlight a particular coin in my personal collection and the memories surrounding its acquisition. With the passing just over a week ago of long-time friend and colleague Allan Davies, I have chosen instead to highlight a couple memories of the man himself, intricately connected as they still may be to my winding numismatic path of the past 35 years. As I have written in earlier recollections, Al was the first coin dealer I had ever done trade with. Shortly after settling in the city around 1980, I met Al through the City of Ottawa Coin Club. A knowledgeable vest-pocket dealer – I believe still working for the Federal Government at that time – Al became a trusted source in my quest for interesting early English coins. I recall he would even make house-calls to indulge the collecting passions of a teenage collector, a testament as I now reflect to his patience and accommodating nature. Anything pre-Victorian captivated me at the time, and one of the earliest items I purchased from Al on my limited budget was a delightful four-piece set of Queen Anne “Maundy” coinage. 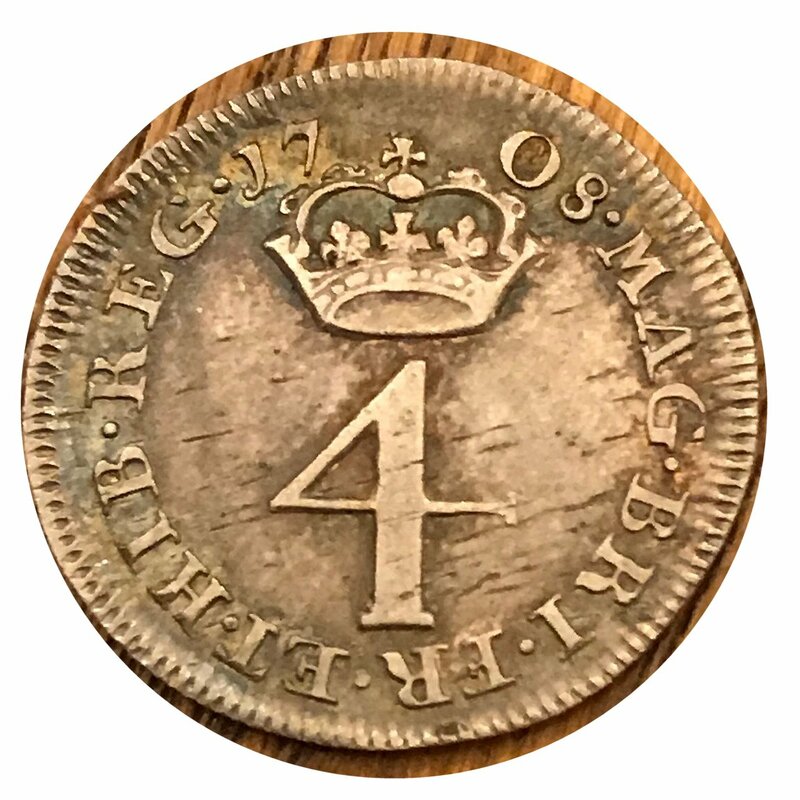 Held once per year since at least the middle ages, the “Royal Maundy” became a ceremony in the Church of England in which the reigning monarch or his/her representative distributed a small amount of special coinage to selected elderly recipients. A complete Maundy set consists of the four silver coins, denominations one through four Pence, with the smallest denomination measuring a mere 12mm in diameter (“cute” is a term I am not embarrassed to use in describing these delightful tiny sets). With varying dates of 1708-1710, the set Alan had procured for me was housed in a later, very quaint original Maundy case of the Victorian period. It remains a prized part of my now eclectic collection, and in the ensuing years I have acquired only one other Maundy set, a 2000-dated example of Elizabeth, with almost 300 years of history between the two Queens. Interestingly, to this day the current Royal Maundy coinage continues to be the only issues of the British Commonwealth to bear the original 1953 portrait of Queen Elizabeth. Although Allan’s much-respected expertise lay in the field of Canadian colonial tokens, in those early days I knew him mainly as my personal purveyor of nice early English coinage. Later, as a dealer myself, although my travels with Allan were quite infrequent, I do look back fondly on one particular “road-trip” memory. He, Paul Davis and I had traveled to the Chicago Coin Fair, somewhere around 1990 or so, and found ourselves at the iconic Chicago Chophouse for dinner. I don’t recall whether through challenge or simple youthful gluttony, but Al and I found ourselves facing off with absurdly-large 32oz steaks. Now, Allan was not a small man, but looking back with the objectivity of time, I expect he and I were at that sweet spot of intersecting capacities. Myself, likely at the peak of a 23-year-old’s bottomless appetite, and Allan perhaps on a somewhat tapered trajectory in which the mature male no longer requires the 4,000 daily caloric consumption of youth. At any rate – and as lame as it perhaps is to see myself write this – just about the only memory I have from our Chicago trip was cleanly putting away that 32oz mammoth, and then finishing off the third of Al’s steak that he had left aside. Whether that dinner earned me pride or shame I’m not entirely certain, but the memory still prevails of a great meal with great company. I would see Al at shows in the ensuing years, and most recently had him over to the house a couple months ago when he kindly offered a new home to our two younger cats, who would keep him company until his untimely passing. Increasingly I find myself wondering where the years truly go, and am grateful for having met Allan in those early formative years. Rest in peace, Sir. 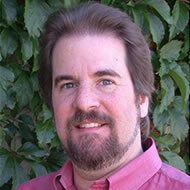 Your memory will remain clear in both our hobby and our hearts.